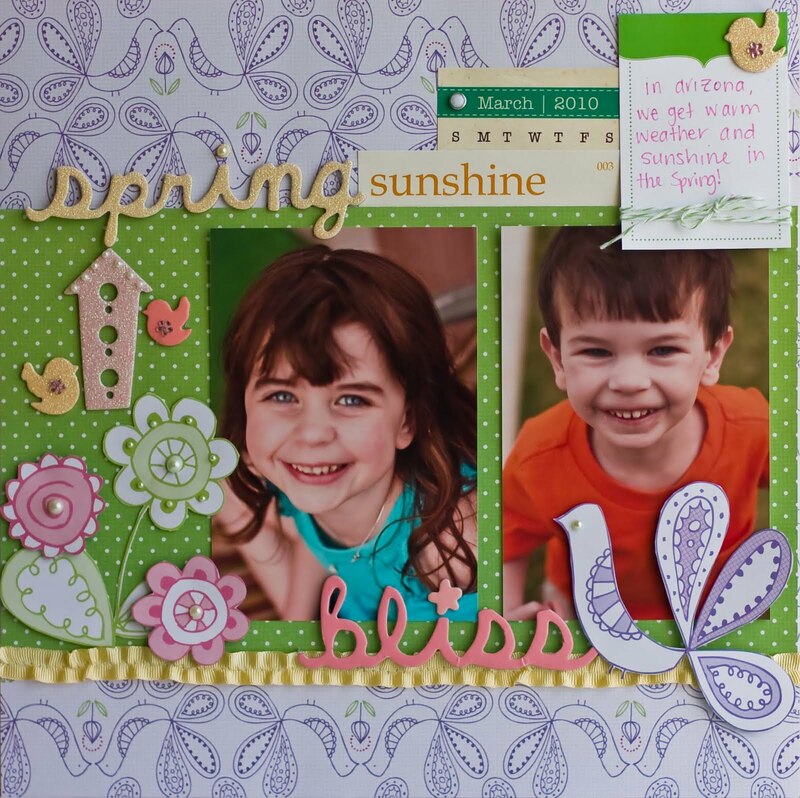 And it got chosen as one of the layouts spotlighted on the Elle's Studio blog HERE. But it gets better ;) My name was also randomly chosen to win a $30 gift certificate from Elle's Studio! Elle makes the most fabulous journaling tags, flashcards, acrylic stamps etc. I picked out my goodies and they shipped them right out to me. 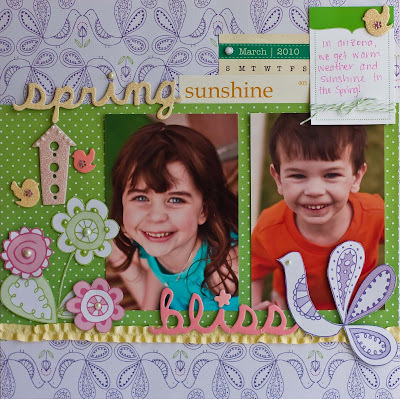 And I've been playing with them ever since :) Here is one layout I did using a few Elle's journaling cards. 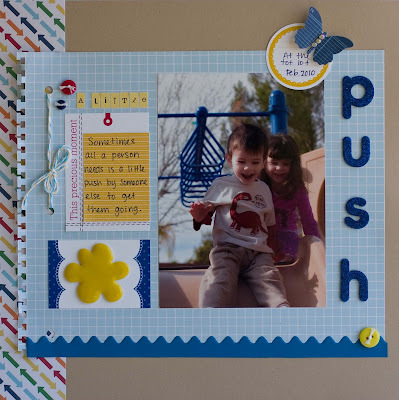 I love using the journaling cards to journal of course, but it is also fun to use them to house embellishments too. That's all for tonight, I have to get some sleep because tomorrow is going to be a long day. Little Miss has her pre K graduation ceremony tomorrow night and she has already informed me that I am going to be a wreck. Actually what she said was, "You are going to cry when you hear us sing the song we are going to sing." Seriously? My almost five year old is emotionally preparing me to cry at her ceremony? Sigh. Well, I'll come back later this week and let you know if she was right. These are lovely pages! And well done!